Here's a partial list of artists, events, groups and institutions in our town. Also visit Community Groups & Social Services page in the Super Directory for links to local groups! Truly an arts town, Sandpoint has about two dozen galleries located in town and the surrounding area. 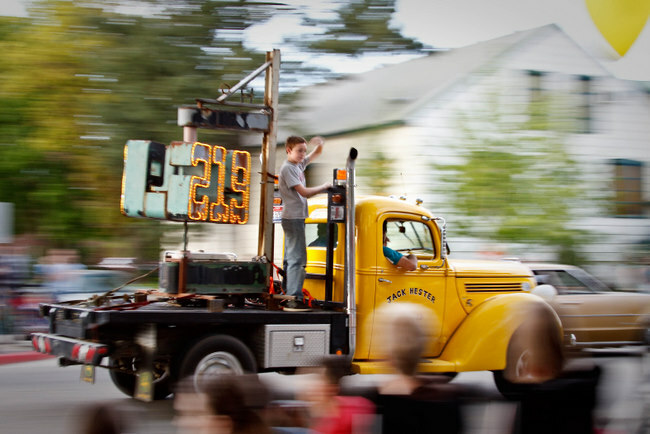 In summer, up to 20 downtown venues become galleries in Artwalk, a self-guided walking tour to browse revolving art exhibits, sponsored by Pend Oreille Arts Council (POAC). Also sponsored by POAC are satellite exhibits found in several public and private entities, with displays changing every six weeks. See POAC’s website to learn more. Another summertime art tour is the Artists’ Studio Tour, a self-guided driving tour in the countryside, where art aficionados can go behind the scenes at working studios to see art in action. Look up ArtTourDrive.org to see details. Bonner Mall Cinema is a six-plex theater inside the Bonner Mall on Highway 95 in Ponderay; phone (208) 263-7147. 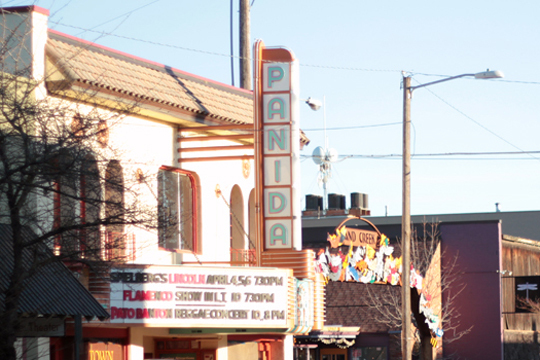 Also, the Panida Theater is a historic venue at 300 N. First; its Global Cinema Café features foreign and independent films; phone (208) 263-9191. You can see movie showtimes, descriptions and ratings at both venues on the Sandpoint Movies page. 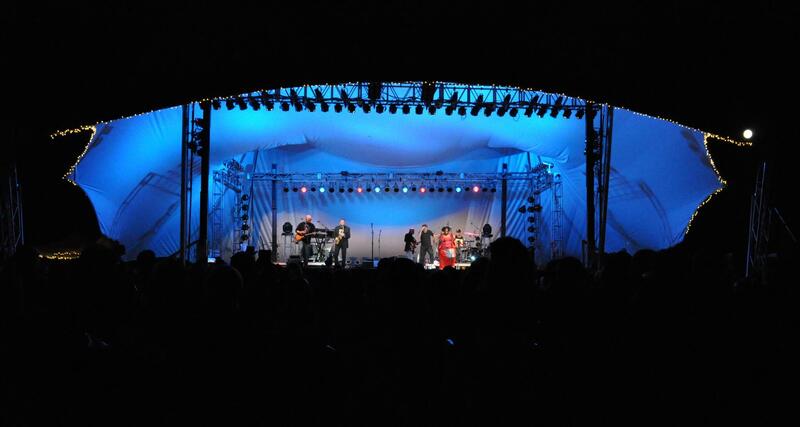 Visit the festival's homepage to see the most recent news from one of the premier summer music concert series in the Northwest, held right on the shores of Lake Pend Oreille at Sandpoint's Memorial Field. For two weeks each summer, the festival brings to town a truly impressive array of music, from the Spokane Symphony Orchestra to such popular acts as Lyle Lovett, Ziggy Marley, Wynonna Judd, B.B. King, Etta James, Nitty Gritty Dirt Band, Los Lobos, Keb' Mo' and many others. For tickets or performance information, call 208-265-4554. Each May '50s rock stars entertain enthusiastic crowds at the dance concerts held both Friday and Saturday nights during this unique Sandpoint holiday weekend. Also, people pack the Panida for a Rock 'n' Roll Heaven Show on Thursday night, and they line the streets for the famous car show and parade, featuring tons of classics right downtown. Since being restored several years ago, the Panida has become a vibrant center for the performing arts. Check out its historic architecture at 300 N. First, and keep an eye on our events calendar for shows and movie line-up. Phone 208-263-9191. No group in Sandpoint cultivates the arts like Pend Oreille Arts Council, a non-profit community groups that stages many arts events throughout the year, including ArtWalk in summer, the annual Arts & Crafts Fair at City Beach in August, the POAC Performance Series in winter, sponsorship of visiting artists and much more. Watch the events calendar for upcoming POAC events. To learn more about POAC, to join the group or to volunteer, call 208-263-6139. Local Sandpoint artists provide live performance art ranging from storytelling to music and more at open mic sessions held regularly at Eichardt's on Cedar Street (208-263-4005) and Cafe Bodega inside Foster's Crossing (208-263-5911). Other occasional venues for open mics include Taps at Schweitzer, Coldwater Creek Wine Bar and others. See open mics currently scheduled on the Sandpoint Events page. Yes, writers live here too. You can browse the offerings by many locally published authors at the Sandpoint General Store. Sample works from Jane Fritz, Marianne Love, Dennis Nicholls, Sandy Compton, Boots Reynolds, Paul Rechnitzer, Thomas Lacy, Becky Kemery, Jonathan Johnson, Paul Quinnett, Jerry Pavia and others. Sandpoint is also home to a pair of independent small publishing houses. Keokee Publishing publishes regional nonfiction books, including history, natural history and guidebooks, under its imprint of Keokee Books. Also, the nonprofit independent press, Lost Horse Press publishes poetry and works of high literary merit, as well as provides educational and cultural outreach.